Welcome to Spring! Now it's time to prepare your lawn! 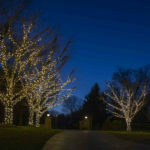 Why Hire a Professional for Holiday Light Installation? Are Summer Storms Causing Your Basement to Flood? What Are The Benefits Of A Dry Well Drainage System? 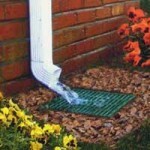 When Is It Time For Drainage System Maintenance? When Should I Install a French Drain? When Should I Stop Watering in the Fall? Is Your Yard Ready For a Hurricane? Why Do You Need a Sustainable Drainage System? What is Micro Drip Irrigation? Why Choose Aqua-Bright For Your Lighting and Irrigation? Read Our Reviews! LED Lighting: Why The Craze? How Can Outdoor Lighting Help with Security? How Does Micro Drip Irrigation Work? 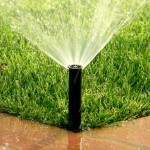 Winter Lawn Care: Water & Drain! Christmas in July? You bet! Have you Put Together your Outdoor Lighting for the Fourth? 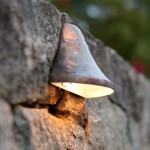 How can Outdoor Lighting Benefit your Landscaping? What are the Benefits of Yard Drainage? Want to boost your curb appeal? Use outdoor lighting! Surprise your Mother with New Outdoor Lighting! Does Your Yard Need a Sprinkler System? What to Watch Out for When Night-Swimming. Do You Have a Frozen Walkway in Winter? A Dry Well Drainage System can Help. Why Should I Install Outdoor Lighting this Winter? What Are CFL Bulbs and Should They Be Used for Outdoor Lighting? Why Should You Have Your Basement Professionally Waterproofed? What Grasses Grow Best in Maryland? Why Should I Have Temporary Lighting for my Baltimore Party? How Can I Get the Most out of my Baltimore Sprinkler System? 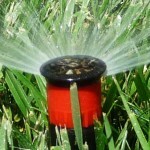 What Sprinkler Maintenance should I Perform in Spring and Summer? What Advantages does Exterior Lighting give your Baltimore Backyard? Should I Have My Sprinkler or Irrigation System Inspected? 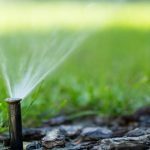 Is My Sprinkler System Causing My Water Bill To Rise? What Are the Different Types of Sprinkler Systems? Are My Sprinklers Ready For Spring? Why Do I Need A Sprinkler System in Baltimore? How Can I Prepare My Irrigation System For Spring in Baltimore? Why Should I Use Energy Efficient Light Bulbs on My Front Yard? What Are Common Mold Growth Problems In The Winter? How Can I Prevent Mold Growth? What is The Best Way to Handle Water Damage? How Can Outdoor Lighting Improve Safety and Security? How Can I Get Rid Of The Smell of Mildew? What Are The Types Of Harmful Mold?